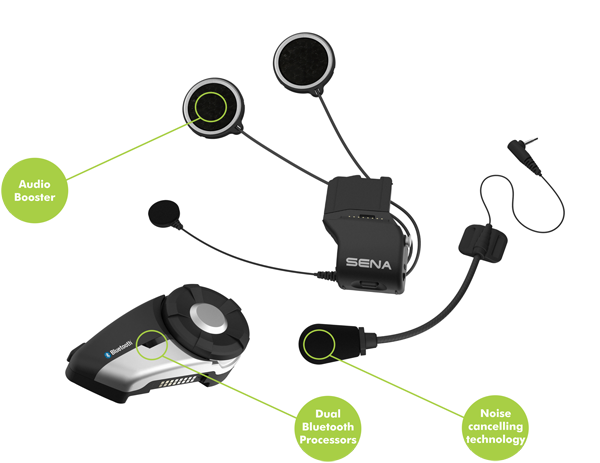 The all new Sena 20S state of the art Motor Sport Bluetooth headset-A Revolution in Motorcycle communication systems. With a host of industry-first features and an intuitive design, it is sure to change the way you ride and communicate on your bike, forever. 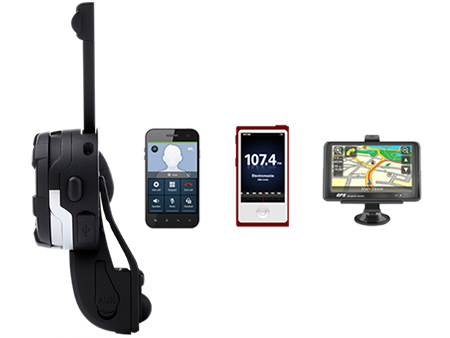 If there is one motorcycle headset accessory you should consider then this is it. Created to perform beyond expectations, with the reliability, performance, and quality you’ve come to expect from Sena. Sena engineers have also excelled in adding additional safety feature not seen until now in a bike communication system. 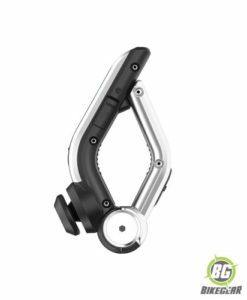 Now with new voice commands your hands never have to leave the handlebars. Simply speak to control all functions of the unit. And that’s only the beginning. Stay in contact by calling hands-free on your Bluetooth phone, hear voice instructions from GPS navigators via Bluetooth wirelessly, tune into your favourite radio station with the built in FM radio, listen to your favourite songs in stereo from your own music player and conduct conversations in full duplex with a passenger or 8 other motorcycle riders. The new 20S performs all of these functions with ease with a massive range of up to 2 km! There are numerous motorcycle intercom systems currently available all touting features which quite often are never used or are too complex to operate while touring, making them potentially dangerous. We have complied what we believe to be important criteria to consider when choosing a wireless intercom system and how the new Sena 20s addresses these elements. Safety- Is it easy to use and designed with the rider in mind? This is arguably one of Sena’s most distinguishing characteristics and where their designers, who are also bikers, have placed a lot of emphasis. One Jog Dial does it all. 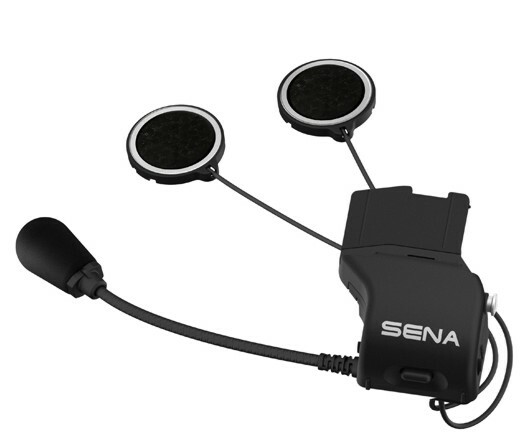 The heart of a Sena communication headset consists of a patented, versatile jog dial that dramatically simplifies a riders ability to operate and communicate with the unit, particularly if wearing gloves. This innovative interface effectively does away with the complex multi-button operational approach found in other manufacturers offerings, allowing you to focus on the road ahead. And with the 20S this jog dial has just got better! A redesign makes it slimmer and it now includes the ability to operate the jog dial with a only fingertip, even from the back of the intercom. Another key feature allowing for quicker and easier accessibility is a new interface based on motion sensor technology. Simply shake the headsets to pair the two Bluetooth devices .Spend less time setting up and more time enjoying their ride. The way it should be. The 20S includes an iPhone and Android Smartphone App . 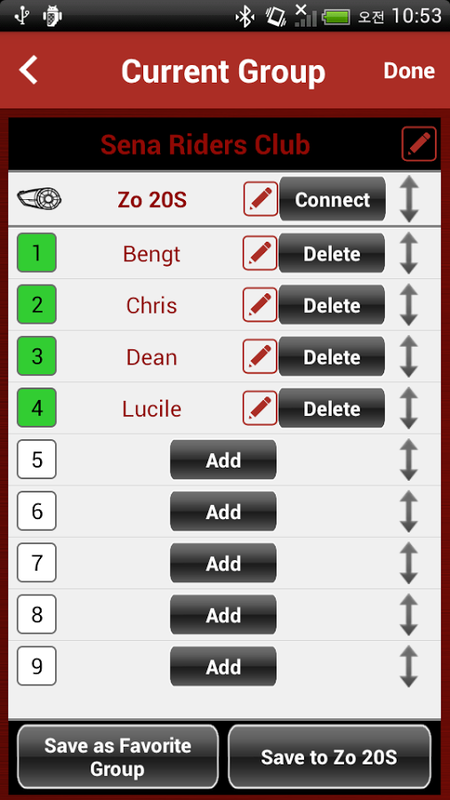 This enables you to set up the device or manage intercom groups from your phone. 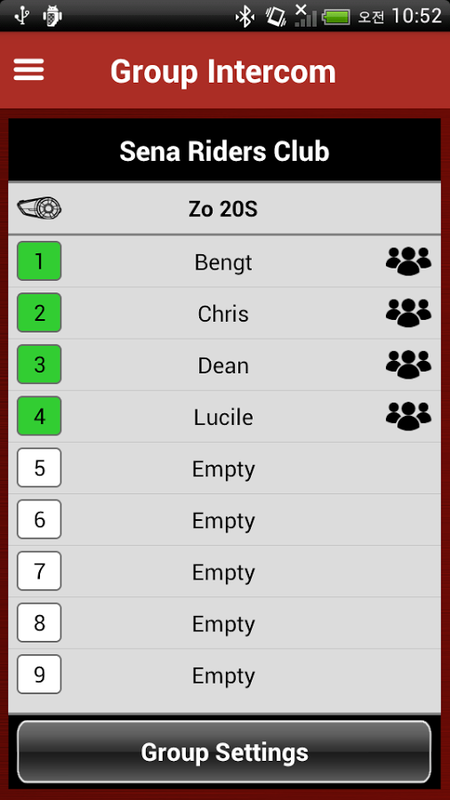 Additionally you can connect to all group members with a one-touch action, directly from the app. Is it a distraction to use while riding? It is of little use having a wireless bike headset unless it provides for a trouble and hands free experience. The Sena 20S provides another leap forward in this regard through its voice command innovation. 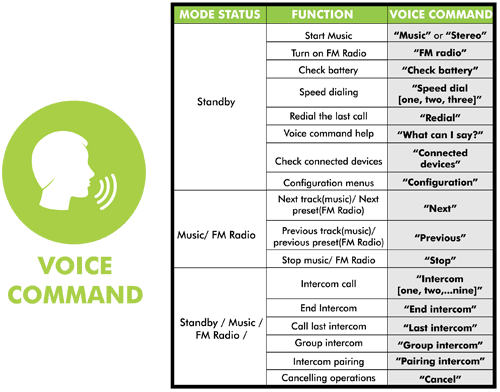 Voice command technology now allows users to control many intercom functions with speech commands. Control the built in FM radio, music playback,phone calls, intercom or input a new GPS destination by simply speaking to the unit. There is no need to even lift ones hands from the handlebars, which on a motorcycle should be a primary safety consideration. Can all riders hear clearly? Distractions when riding a bike are many and include other road users, wind noise, road conditions and weather. 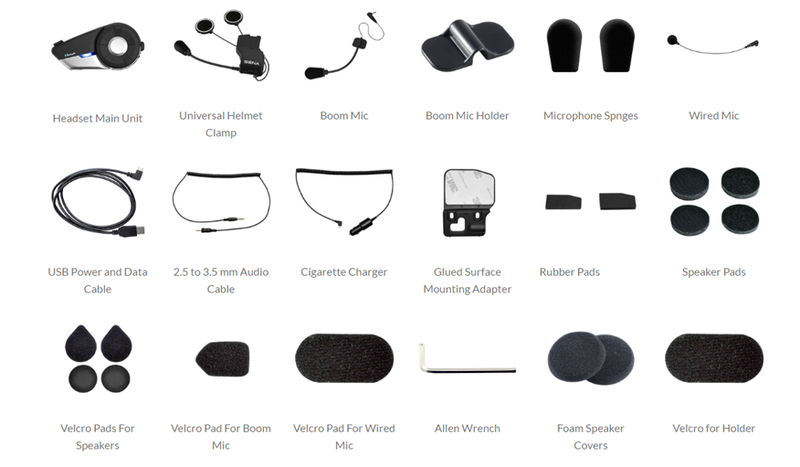 A primary considerations when choosing a Bluetooth bike helmet intercom is the ability to hear and be heard. The last thing one needs to contend with is the inability to hear what your pillion or fellow biker is trying to say to you, particularly if it is to warn you of a possible road danger. It is in here that Sena engineers have pulled the rabbit out of the hat. Not once but in numerous instances. The 20S boasts an industry first HD (high definition) crystal clear voice technology coupled with advanced noise cancelling. Speech will be precise and exceptionally clear. Noise cancelling technology muffles the roar of the wind, without distorting the sound of your voice. 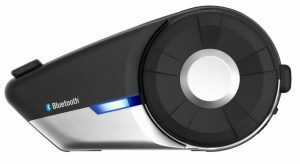 An integrated audio booster provides optimum sound levels in noisy environments – you’ll notice increased sound improvements at all levels. All powered by another innovation – Dual Bluetooth processors. 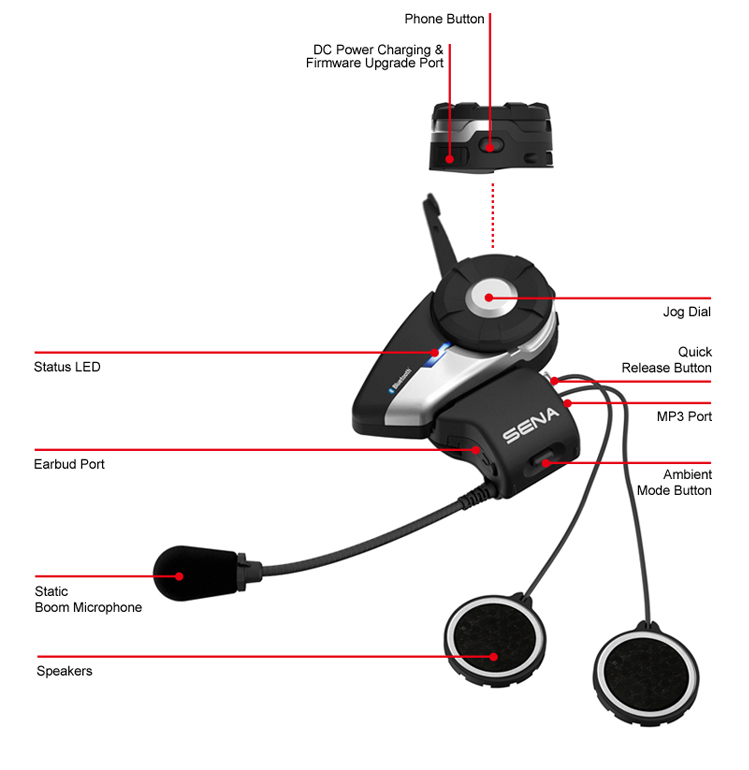 Essentially a Wireless Motorcycle Bluetooth headset is a micro computer that comprises a processor to run the software and a radio transmitter to transmit a signal, be it voice or music . Other manufacturer offerings only have one processor while the 20S has two units allowing for a much greater processing capacity and the ability to operate yet another first, Bluetooth 4.0 software. As a result of this increased processing power the 20S has the capacity to deliver Audio Multitasking™, another proprietary and industry first feature. Typical wireless helmet intercoms have to perform numerous tasks . 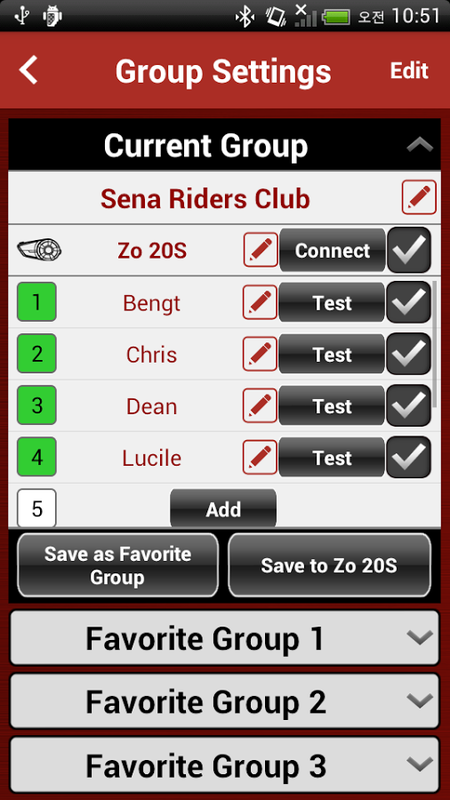 A rider will listen to music, make and answer phone calls, listen to GPS voice directions and communicate with other riders, be it to separate bikes or a couple on one bike. Such multi tasking effectively causes delays and interruptions when switching between tasks. 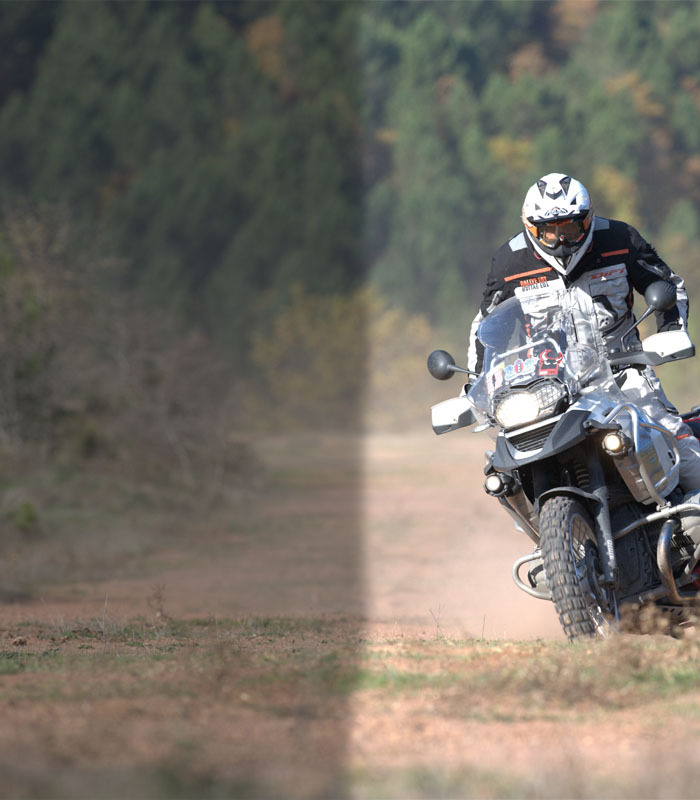 Multitasking™ allows for a seamless blend of incoming and outgoing audio to create a mixed audio experience versus the traditional interruption based audio technology of other motorcycle communication devices. Effectively Multitasking™ creates the most close-to-natural audio sound and enables a quicker, more natural switching between multiple devices. 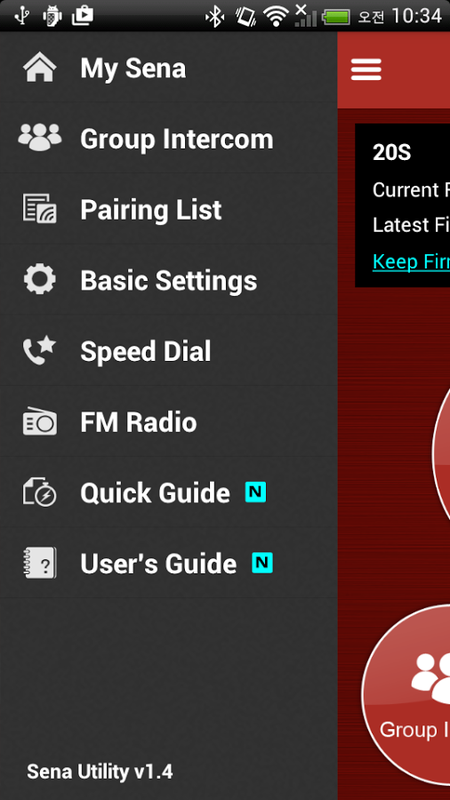 listening to music, FM radio, or GPS instructions. The overlaid audio is played in the background with reduced volume whenever there is an intercom conversation and will return to normal volume once the conversation is finished. One practical example of this new technology would be if you were talking to another rider or listening to music and your GPS, at that point, issued a turn signal. Traditionally you may have missed this GPS command due to a delay in switching from the intercom or music player to the GPS unit. intercom conversation / music ensuring you do not miss a possible important direction command. The same process would apply if your were using your phone while riding. 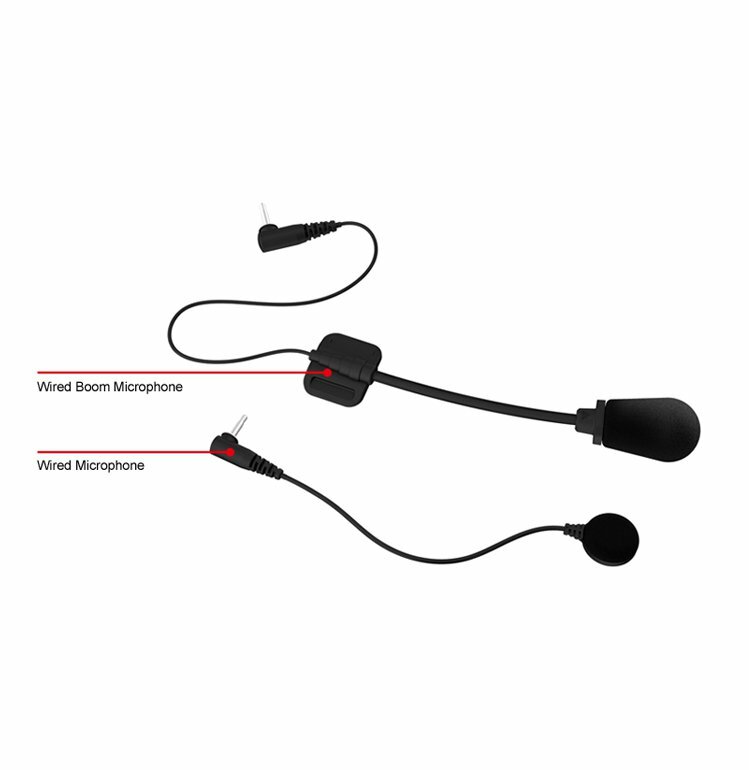 Additional features assisting clear clarity communication include a bike-to-bike intercom distance that stretches up to a muscular 2.0 km range and thanks its HD-quality conferencing system it can easily handle long-range conversations with more than eight riding companions. Perfect for group-rides, the 13-hour battery life also ensures your discussions will never be cut short again. Finally, as another example of the thought that has been built into the Sena 20s, another first- Dual microphones. 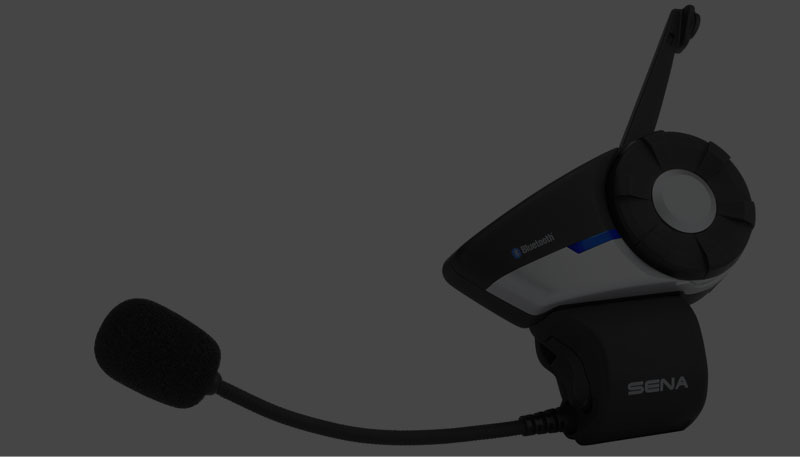 Conventional Bluetooth intercom solutions only have one microphone contained within your helmet . The ability to hear ambient sounds outside of your helmet has therefore not been possible. 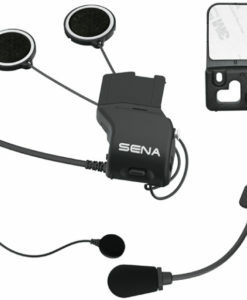 Sena engineers have embedded an external microphone in the base clamp of the unit. Simply press a button on the base (Ambient Mode Button) and you can hear people talking to you with your helmet still on. Such a feature is particularly useful, for example, when filling up with fuel as there is no need to take your helmet off to hear the fuel attendant. Connection of a non Bluetooth audio device such as an Mp3 player, Two way radio or Radar detector. 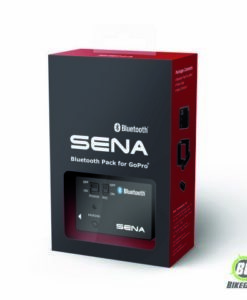 The 20S supports Bluetooth audio recording for the Sena Bluetooth® Audio Pack for GoPro® .This allows multiple individuals the ability to include their voice commentary and supports HD quality intercom recording. With technology rapidly changing will the intercom become obsolete? The pace at which technology advances is relentless. One merely has to look at cell phones as an example. But often this change is change for the sake of change with little real benefits accruing to the user. The 20S has been designed with longevity in mind. 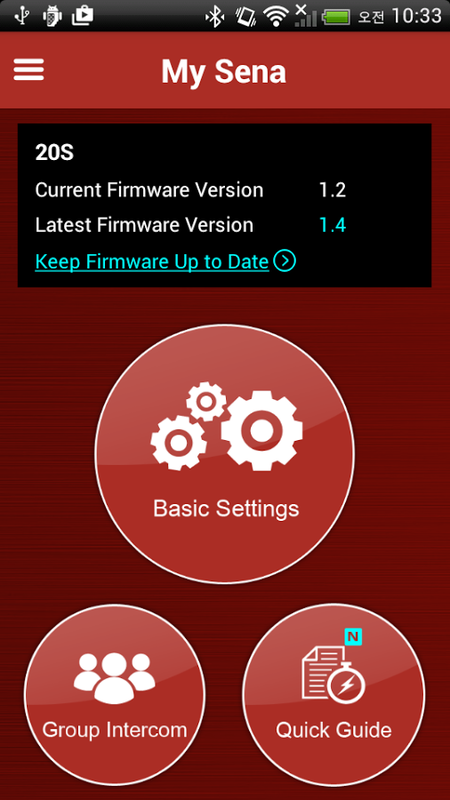 Dual processors ensures more than adequate power for new firmware innovations. 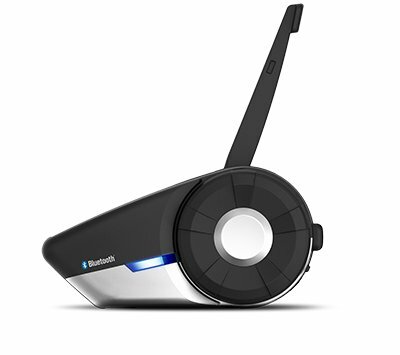 Coupled with Bluetooth 4.0, the 20S is the most advanced Bluetooth communication device in the market. 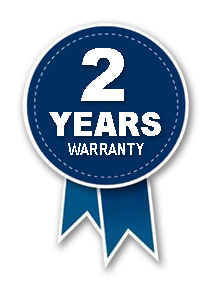 Free lifetime firmware upgrades also offer meaningful additional benefits allowing your investment to stay abreast with the latest innovations at no additional cost. 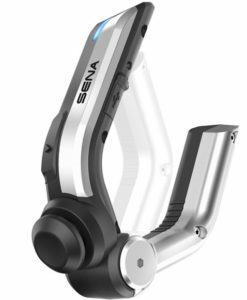 Add to this that Sena are world leaders in high-tech Bluetooth electronics and you can be assured that your investment will provide many happy, trouble free kilometers. Stay together, stay safe, stay connected-and enjoy the ride more with this new benchmark in motorcycle intercom systems. 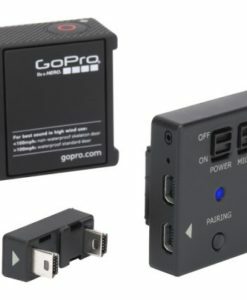 The Sena Bluetooth GoPro Audio Pack for GoPro is  designed to easily and wirelessly capture your voice overs to video, while on the move, to the GoPro Hero 3 and 4  action cam.